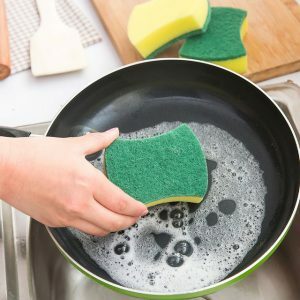 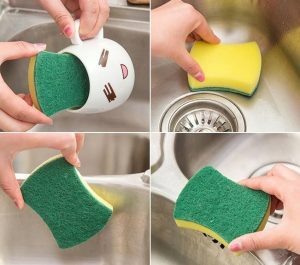 FEATURES High-quality sponge, soft and does not hurt the hand, strong water absorption, rich foaming, different texture on both sides, easy to remove oil, suitable for cleaning all kinds of tableware. 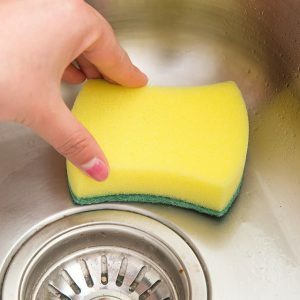 The fiber surface texture is rough and can effectively clean stubborn stains. 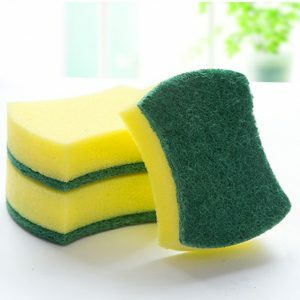 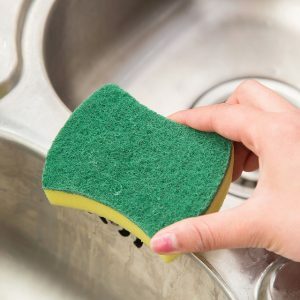 High-density sponge with fine texture and durability.